By Contributing Author 2 Comments - The content of this website often contains affiliate links and I may be compensated if you buy through those links (at no cost to you!). Learn more about how we make money. Last edited March 19, 2019 . This is how Dave’s idea to “live like no one else, so later you can live like no one else” is possible, and this is the idea we must equip our kids with so they can be good financial stewards. The Bible calls us to be good stewards. God won’t entrust us, or our children, with wealth if He knows we’re going to squander it. Teaching our kids to budget, gradually, as they handle more and more money, is the best example of being “faithful with little so that we can be entrusted with much.” Now let’s get into how we can do exactly that. Here's how to budget at every age. Fortunately for our kids, we can start them off with step four. If they start budgeting at a young age, they’ll build the habit young. With this foundation, it will be simple for them to start managing more money, as they get older. Budgeting shouldn’t feel like a punishment. Budgeting is having control over your money. Teach your kids to understand how a budget can stretch their dollars beyond what they could do without one. Start by showing them the most important lesson. 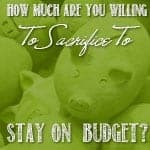 A Christian budget starts with the tithe. The Old Testament Law required 10% of your first fruits be given to God. There were many other tithes mentioned for non-monetary giving, but we are now under the Spirit, not the Law, so we are no longer obligated to give legalistic amounts. That being said, 10% is a great starting point, and a great minimum. As Christians under the Spirit of the Law, we aim daily to be like Jesus. Of course, we know we will never be fully like him, but we try our best. How much did Jesus give? He gave everything for us, so that’s our goal: everything. Since we are not Jesus, we aren’t able to give 100%, so we start with 10% and test ourselves to give more as we grow in spirit and financial knowledge. If your children only learn one financial concept, let it be this one. It incorporates the importance of giving with the necessity of saving. Now let’s get to the age-specific lessons. When kids are under five years old, they can understand the idea of money. They see mom and dad use it, and they occasionally get it as a gift, or for completing a chore. They don’t fully understand the value of money, as they would often rather have four quarters than one five-dollar bill. Kids at this age can see plainly that four is greater than one, but it takes time before they understand how the one can be monetarily worth more than the four. It’s tough for a five-year-old to understand why you would save money. Delayed gratification is an important value, but it’s rarely grasped at this age. That doesn’t mean you can’t start implementing the idea, but the main lesson here is that God entrusts you with money—100% of it being His—so you can still do plenty with the remaining 90% (or whatever percentage you decide is appropriate to keep and give). 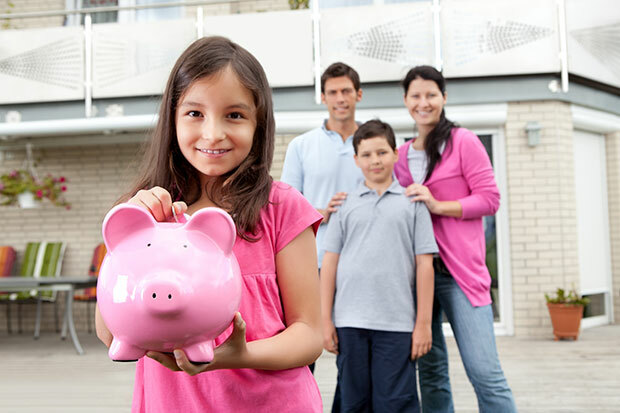 At the next age group, kids will be able to grasp the idea of saving a little better. Now kids will start understanding how money works, but they’re still young enough to want to spend it any time they have a few bucks. This is the age that you’ll start to see whether you kid is a spender or saver, but their habits now won’t always be their habits later. Start entrusting more money to your children at this age, and more control over what they do with the money they have. Finally, they will be able to understand saving. The give jar should already be automatic. If you instill the importance of giving before they’re six, it should be second nature by now. It’s time to teach the importance of saving. When your kid points out something they want, and can’t afford, explain how they can save their money over a time period. This will lead to the purchase of the item over time, but they may not have enough to buy it today. It’s an important lesson to learn at this age. Now your pre/early-teen is ready to start learning the skills they’ll use as an adult. It’s not quite time for a full-on budget, but it’s time to get the basics down. At this age, they’re old enough to understand the value of money, and how they can save for large purchases. It’s time to start talking about even bigger purchases. If you plan to help your child buy their first car, this would be the time to explain how that will work. Are you going to pay for half? Are they completely on their own? Unless you’re paying for all of it, you need to explain how the process will work to prepare your child for buying their first car. They’ve finally arrived! It’s time for Budgeting 101. At this age, they understand the value of money, and they’re ready to start allocating it to specific expenses. You’re preparing them to do their own budget once they move out. This is the age when they could start having some of their own bills. Whether it’s a cell phone, car insurance, car payments (hopefully not), or subscriptions, they’re ready to start breaking it down into categories. Now that they’re in their teens, the “debt talk” needs to happen. Are they planning to have a car payment? Will they be taking out student loans? They may even be considering buying a house or condo in the near future. If your kids stay out of debt, they won’t have to dig their way out of debt later. If you teach your child to steer clear of debt and keep a budget from the beginning, they’ll be ahead of the vast majority. They can, and should, start budgeting right now. Show them your family budget. Don’t keep your kids in the dark about your finances. When I was growing up, our household followed the “it’s none of your business” model when it came to budgeting, and that led to a financial catastrophe early in my adult life. I had no clue. How would I know anything about budgeting or finances if my parents never let me in on it? Based on your family budget, your kids can create their own template for what they’ll spend when they move out. This is the time to remind them of “unexpected” expenses that are often forgotten, such as taxes, car maintenance, and emergencies. You know, the things many adults forget about. It’s time to introduce the concept of an emergency fund, and why it’s so important. Introduce them to Dave Ramsey’s baby steps while they can still completely avoid Baby Step #2. In fact, they can start on step #3. Talk about being ahead of the game! Lastly, talk about retirement before they’re even old enough to drive. Briefly explain how saving a small monthly amount now will set them up to retire when the time comes. Show them Dave’s chart of the two investors, and how the one who started younger got ahead faster, with less money. You can explain the differences between an IRA, Roth IRA, 401(k), and the like, but keep it simple. It’s easy to lose a teenager when you explain complex topics like this, so focus on how they can invest simply and easily at a young age, and see huge numbers later in life. The last, and most important, point is to teach automation. It’s the most powerful tool on the planet, and it’s simple. The power of automating your finances is easy to see in action. If you automate your finances, show them how it works, and how easy it is. They can automate everything from giving and investing to bills and payments. 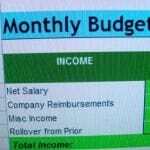 Let them in on the best resources to automate their budget like EveryDollar, YNAB and Tiller Money. If you teach these ideas to your kids as they grow up, they’ll have a natural transition into the real world. They should be set up to start an emergency fund, stay out of debt, save for big purchases, invest for retirement, and keep a monthly budget. As long as they stick with it, it’s foolproof. 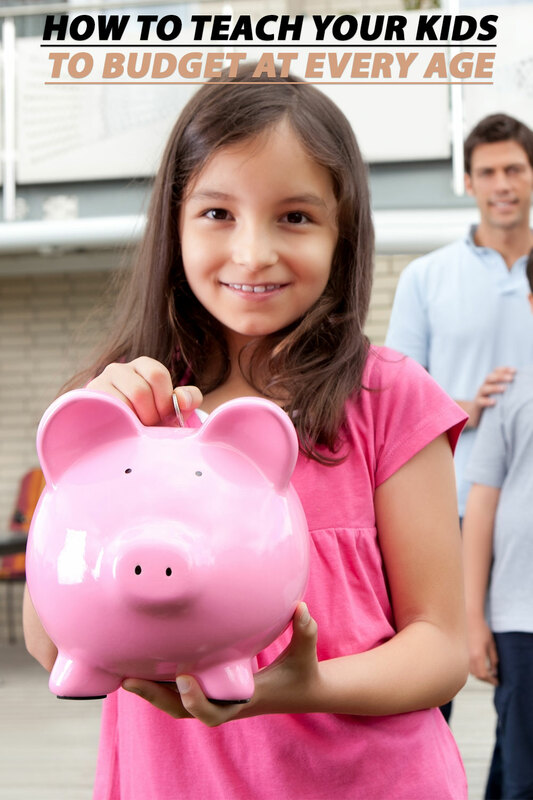 You’re setting your child up for a life of financial success. Author Bio: Kalen Bruce is the founder of Freedom Sprout where he simplifies financial concepts to help you raise money-smart kids. If we teach financial literacy to our kids now, we won’t be showing them how to dig their way out of debt later. Kalen is also a War Planner for the USAF and a father of five. Years ago I felt to teach my children 10% to God, 10% missionaries, 10% to self, rest – save. I struggled with that teaching because my husband was the only one working. We began our marriage with debt and to this day we struggle. Neither of us was raised managing money. Now we see our children struggling too. I just found your blog because of our financial struggle. I’m so glad you included scriptures! It truly is what gives me peace of mind. Now to just grab hold and walking in them by faith. That is my struggle. 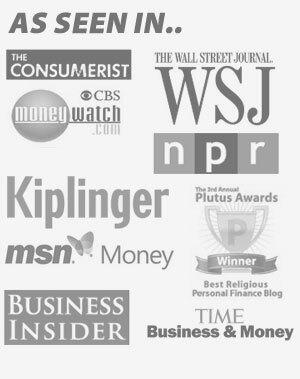 I’m run the blog, Freedom Sprout, but I wrote this article for Bible Money Matters. I just saw your comment, and I think I can help! Don’t get discouraged! As far as the iPad, are you able to limit the time your grandson? I wouldn’t suggest making a huge cut to his time, because he may resent that, but he has to know that he doesn’t get to do whatever he wants when he wants, and that too much time on the pad can be terrible for him. As far as the finances portion, I highly encourage letting him spend the majority of the money he receives. It’s good for him to learn that importance of giving, so maybe 10% tithe, 10% to missionaries, 10% save, and spend the rest. If he saves most of his money, he will start to hate saving. The goal is to show him how a small amount, like saving 10%, adds up over time. I hope that helps!